For over 40 years Lexicon has been recognized as the gold standard of digital reverb and effects processing and has continuously introduced leading edge technology for the audio industry. 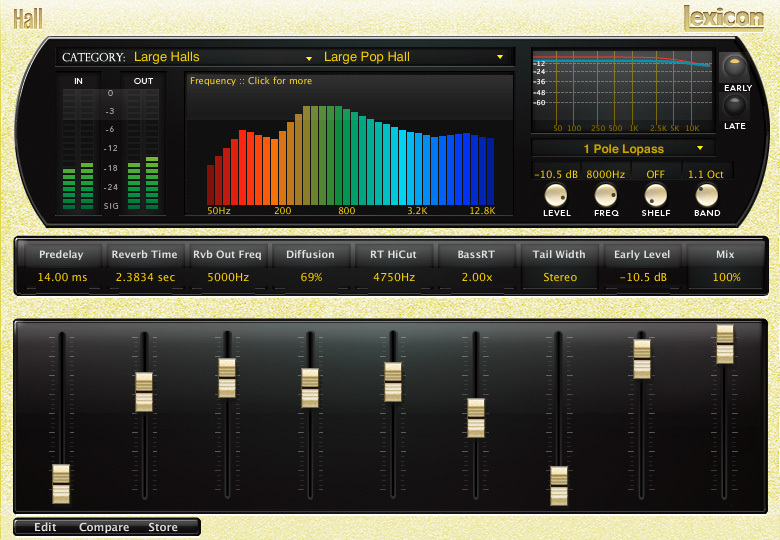 Lexicon has again rocked the audio industry with a complete collection of the finest reverb plug-ins available. The PCM Native Reverb Plug-In Bundle is the ultimate reverb plug-in for creating professional, inspirational mixes within popular DAWs like Pro Tools, Logic, and any other AAX, VST, Audio Unit, or RTAS compatible platform. 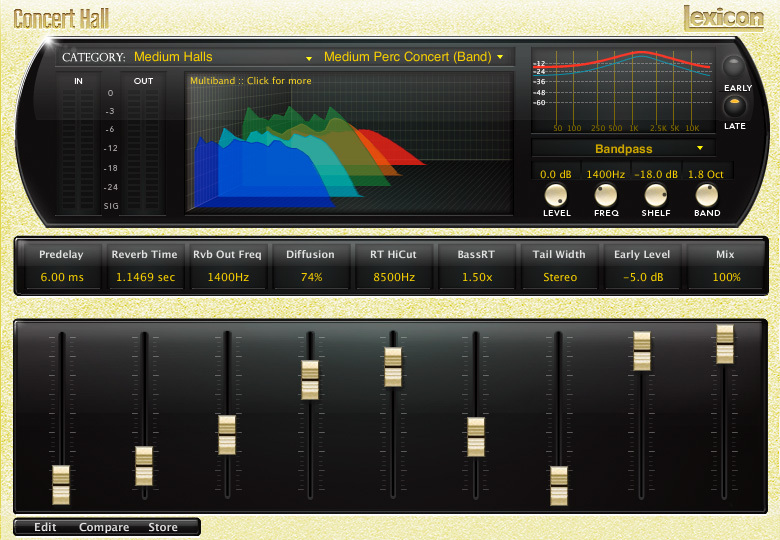 The PCM Native Reverb Bundle is also available as part of the PCM Total Bundle and the PCM hardware processors. Each algorithm can be run in either mono, stereo, or a combination of the two. 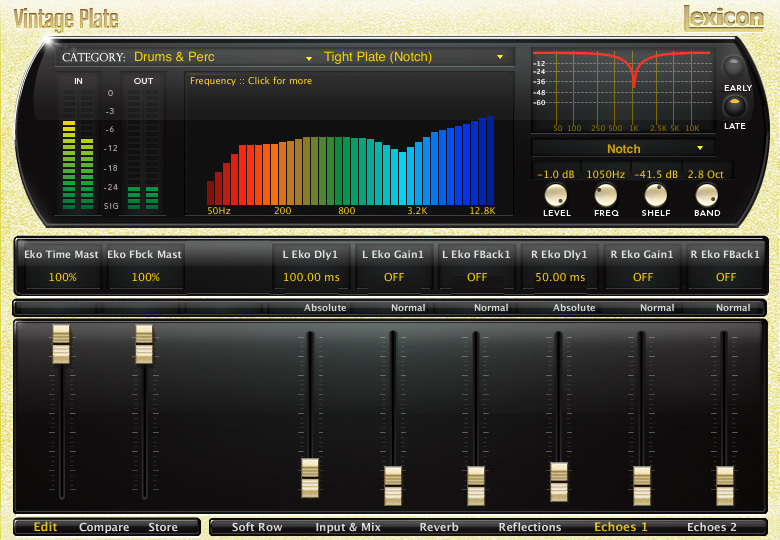 We’ve taken the time to add Input and Output Meters in addition to a graphical EQ section for easy adjustment of both early and late reflections. The most noticeable feature, however, is center screen in a multi-dimensional realtime display. There are three screens to choose from, all showing different frequency stages of the algorithm to help you shape your sound. The user interface displays nine of the most logical parameters for customization, it also enables you to transition deeper into the algorithm to edit the full matrix of parameters. 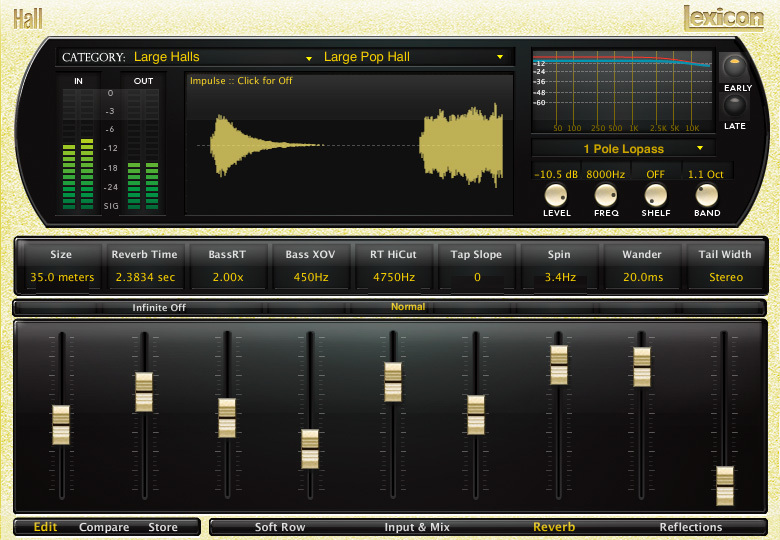 Compare your custom preset to the original and save it off once you have the perfect sound. You’ll also have the ability to load that preset into a different DAW. The wealth of algorithms and presets will enable you to envelop your vocals and instruments with the musical ambiance of panoramically wonderful spaces. The PCM Native Reverb Bundle is a complete collection of the finest reverbs, now with all the flexibility of a multi-platform native software plug-in. The Lexicon PCM Native Reverb Plug-In Bundle is by far the best sounding plug-in reverb you have ever heard! Makes you remember that you've forgotten how good digital reverb can really be, and it will make you forget about your favorite convolution IR's in an instant. Also, the truly unparalleled PCM96 is a unique box in that it is controlled as you would any instantiated plug-in. Pretty cool we think. 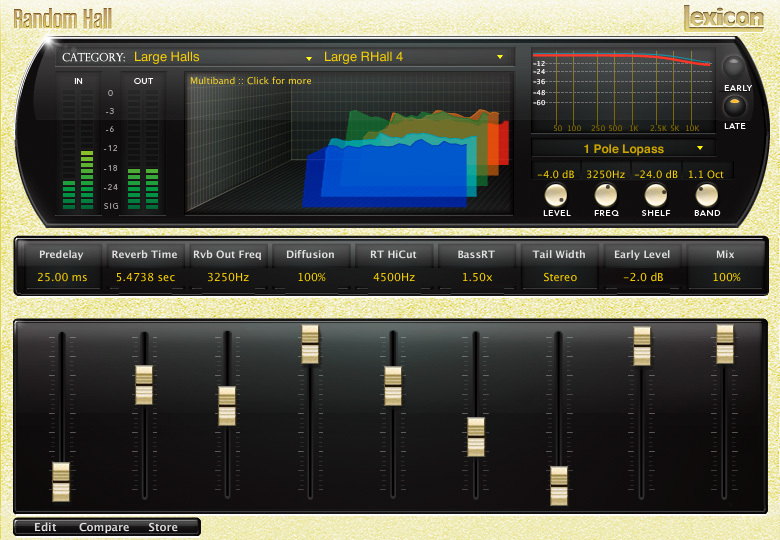 We agree with the designers at Lexicon that this is the finest Digital Reverb they have ever created. Truly stunning! My Lexicon PCM Native Reverb plug-ins are essential players in my digital arsenal... They sound absolutely amazing. The sounds of the PCM Native Reverb Plug-In Bundle are classic Lexicon – rich, deep and enveloping, and they can elevate a mix from being merely good to being absolutely captivating. In addition, the ability to tweak parameters to get exactly the sound quality you want, and then be able to save those settings and recall them instantly is a powerful advantage. The new Lexicon Native reverb plug in now delivers all that lush Lexicon depth and fullness that nothing else can even come close to. Back again are the days of just pushing up the fader and having the reverb sound instantly great without even trying!! I have no other reverb, plug-in or hardware, with this much versatility--there are many great, usable factory preset reverb sounds and, at the same time, "deep as you want" intense programmability for modifying or designing your own unique reverberant treatments. With its huge collection of specialized reverb algorithms for great sounding Chambers, Concert Halls, Halls, Plates, Random Halls, Rooms, and Vintage Plates, The PCM Native Reverb Bundle is worthy enough to be my main reverb and it is well used in all my mixes. I'm amazed at the Lexicon PCM Native Reverb. On installing the demo, my little studio instantly became a spacecraft. As soon as I heard the default vocal plate I just had to sing & shout. I can hear great reverbs that remind me of the best records I've heard. This bundle takes you there, from classic ambiences to deep space. Such a wealth of beautifully crafted ambiences in one plug-in is simply, elegantly superb! The excellent, friendly interface and easy parameter control make it an integral instrument for me. I love the ability to use discreet reverbs simultaneously and to customize settings comprehensively on-the-fly. 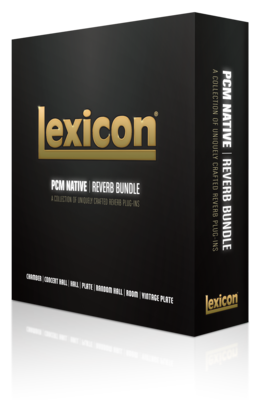 The Lexicon PCM Native Reverb Plug-In Bundle exploits the company's fantastic collection of legendary digital reverb. I've been waiting to have access to their algorithms on this platform and the bundle does not disappoint! Dense, deep and wide is not how I would usually describe plug-in verbs but Lexicon somehow pulls it off. The display is awesome, and the parameter selection gives you everything you would expect from a pro piece of gear. It's official: the Lexicon PCM Reverb Plug is being placed, not only in, but on the top of my mixing toolbox! The Lexicon PCM suite is the only plug-in reverb I can put up against a $20,000 hardware reverb – and it’ll hold its own. I've been using the PCM Native Reverb Bundle as my main, generally my only, reverb on everything. That includes the new series 6 of The Apprentice scheduled for the autumn, and the UK version of the massive US hit Undercover Boss. This is the plug-in I've been waiting for for years. The glorious, smooth, warm Lexicon sound, without the hardware, I can't imagine ever needing another reverb! With the new Lexicon Native Reverbs, it's the next generation - the presets coupled with the ease of fine tuning is what makes these things rawk! And the recall is done! The native PCM plugin is killing!! The fact that you guys (Lexicon) were able to really nail the vibe of the PCM96 hardware AND allow me to run lots of instances per session is a no-brainer. For vocal verbs, incredible drum plates and beautifully realistically accurate environments for string instruments there really is only one choice, the Lexicon PCM Native Reverb Plug-in. "There really is never a mix up that I'm not using a Lexicon reverb on, preferably the Vintage Plate or Dark Hall"
I can tell when the Lexicon plug-in is being used. No other reverb is as transparent. Finally someone built a software reverb that sounds 100% as good as the best hardware reverbs. This is my new goto Verb, Lexicon has a new Classic. 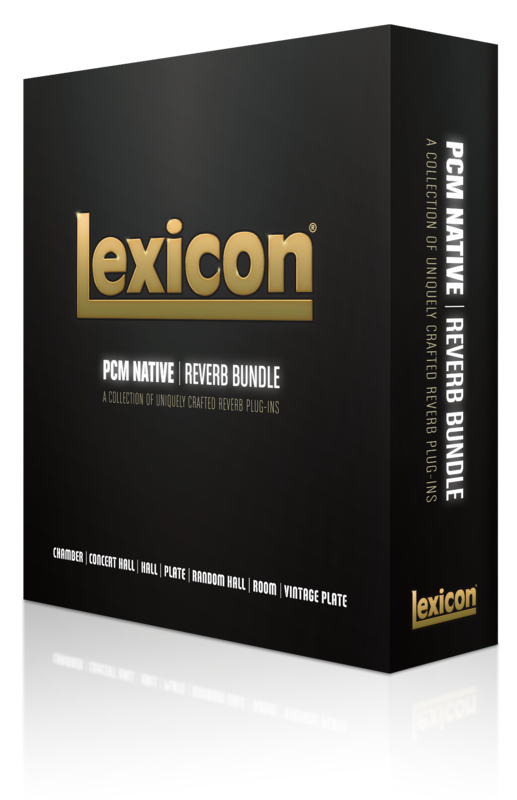 The new Lexicon PCM Native Reverb Bundle is a pleasure to use in every way and , of course, it has that ultra-smooth non-digital sounding reverb for which Lexicon has always been known. I love it when a company raises the bar on what's possible in a plugin, and creates a new "go-to". Performance, acoustical integrity, and ease of use, makes the PCM plug my first choice on my Reverb Aux's. 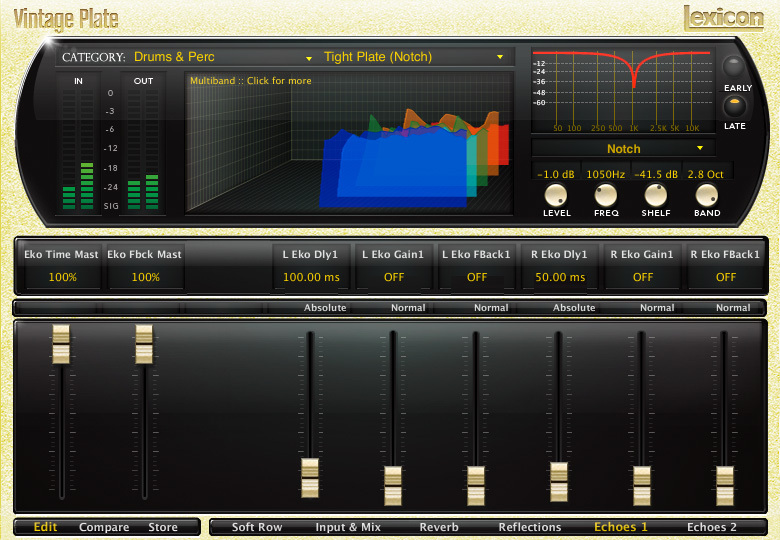 The Lexicon PCM Plug-In is so easy to use. With every track you work on, you can customize the sound and adjust everything from source reflections to the room size much easier than you could with the hardware, and it recalled as part of the track. When I started using the Lexicon PCM Native Reverb Plug-In Bundle I could not believe what I was hearing throughout my entire mix. Every effect from the Delays to the Large Plates had me saying, WOW, OMG, NOOO, ARE YOU KIDDING ME? I purchased a Lexicon Plugin from the Lexicon store but cannot find my serial. 1) Navigate to Store.Lexiconpro.com and log into the account you have made. 2) Navigate to My Account>Order History and click on the order number. 3) Attached to the order is an iLok Activation Code. Copy this number down. 5) Inside of iLok License Manager click on Licenses>Redeem Activation code and then paste in the key from your order.